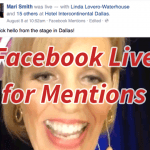 « Facebook Live Streaming Video, but Only for The Rich and Famous? Uhhh… Excuse Me! ?